Before you start your delicious meal, take a picture and save the picture of your meal. This takes only a few clicks. You will be able to edit the details later. 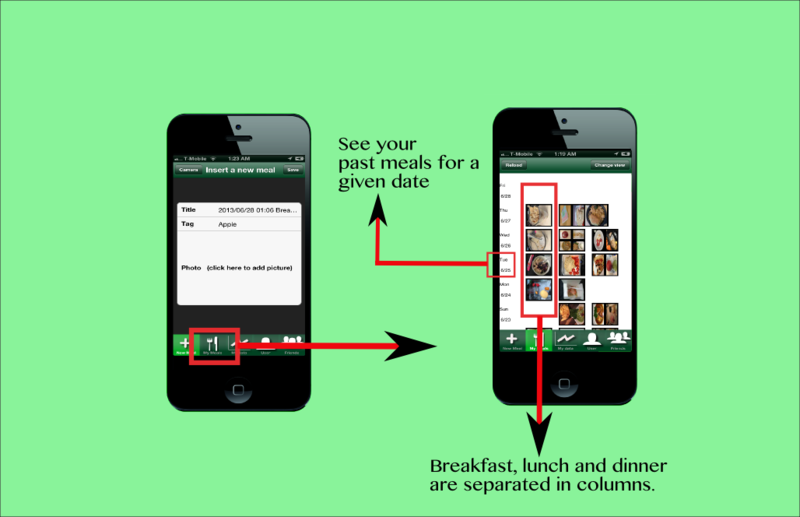 You can review your meals during any time-span desired. This gives you an overall and visual information about your nutrition. From there you can edit the meal details. The picture you took can now help you insert the ingredients of your meal. Count your calories. Verify you ate all the essential vitamins and nutrients. You can analyze today or any other previous day. Daily breakdown of food source for each of your nutrients. Find your friends and help them reach their nutrition goals. Privacy and sharing your meals. Manage what the followers can see.